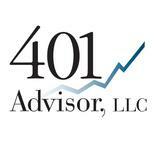 401 Advisor, LLC has been operating under a Fiduciary standard since the business was formed in 2004. In short, it’s about time the rest of the industry has to disclose fees and conflicts of interests. Hard to understand why companies like UBS, Merrill Lynch, LPL and Raymond Jame to name a few, fought so hard to prevent the ruling.